Looking for a reliable medical accounting service for your practice? 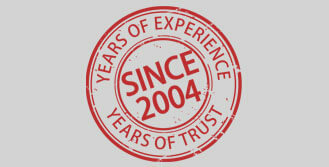 Since 2004, we have been helping medical practices across the USA with their accounting needs. Our accounting rates start from just $10 per hour. "Hundreds of medical practices and health centers now outsource their accounting... who never thought they could"
How does accounts outsourcing process work? You send your bank statements, credit card statements, receipts, invoices etc. to us. You can send them securely via Drop box or Google drive. Alternatively, you can also mail your documents to us. We will enter your income, expenses and categorize them. We will reconcile your bank/credit card statement. We will also manage all other bookkeeping tasks specific to your company. You will receive your monthly or quarterly accounts, year-end accounts, profit & loss statement, balance sheet and other financial reports specific to your company. Your books are now tax ready. I own a solo practice. Will outsourced accounting work for me? Yes, absolutely. Accounting outsourcing works just as well for solo medical practices as it does for large multi-specialty groups and hospitals. 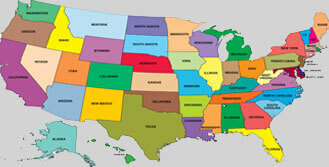 We work with 100's of clients across USA. Yes. We are happy to cover for your bookkeeper on a temporary basis and keep your accounts neat and tidy until your bookkeeper comes back. Our agreement with you is just a 30 day cancellation notice. You can use our service on a temporary basis and leave anytime with a 30 day notice. My medical practice is slightly different to the ones you are used to. Can you handle my bookkeeping? Our clients include companies from across the industry and the country. We work with start ups to large practices. So definitely we can manage yours too and we are more than happy to customize our service to suit your practice requirement. We are a team of talented bookkeepers and accountants with good work ethics, proactive attitude and strong client focus. Our USA (Pittsburgh, Pennsylvania) based customer care team works very hard to serve your needs. We will always give that little bit extra personal care to put a smile on your face, as we have done with other clients since 2004. We are confident that you will be delighted for choosing our accounting/bookkeeping service. Can you send an accountant to work from our office? No. We do not send accountants to work on your office premises. All our accountants work from our own offices. Our systems and processes are tailored to work via Cloud and online. Our online accounting process is easy to adapt and highly secure. You can easily switch to cloud and online accounting and we can help you through every step. I want to get a few custom generated reports at the end of every month. Will you do it for me? Certainly, we can arrange this. Just let us know what reports you want and when you want it each month. We will generate and send these reports to you every month. I have accounting backlogs for many months. Can you complete them? Yes. We are happy to work on your backlogs and get your accounts up to date. Can you co-ordinate with my tax preparer during tax time? Yes, absolutely. We know what the tax preparers expect and when. We will be happy to co-ordinate with your tax expert and pass on your accounts. How do you ensure data confidentiality? We are a Pennsylvania corporation and we abide by the data privacy, HIPAA and confidentiality laws as you do. We are an ISO 27001 information security certified organization. 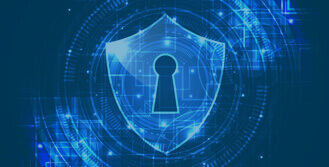 We have implemented very elaborate and detailed security systems, processes and procedures similar to banks and financial institutions to maintain this security certification. You can be assured that your data is 100% secure. We work on a 30 day cancellation policy. We want to give the flexibility to our clients and do not believe in long term tie-in contracts. You can cancel our service anytime during the contract through an email or phone call with a 30 day notice. It is simple and easy. How are you different from other accounting outsourcing suppliers? We have been in the accounting outsourcing industry since 2004. We have vast experience in working with businesses of all types, across USA and Canada. Our experience and knowledge combined with our highly competitive price is a win-win situation for you. "Since 2004, we have been cutting accounting costs by more than 50%, for clients across USA "
Why bother with expensive accountants? 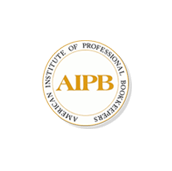 When you can get your bookkeeping/accounting completed by certified professionals, for a bargain price. Back logs? Deadlines bother you? 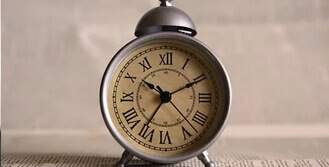 We promise 48 hour turnaround for your accounts. Your deadlines will not bother you anymore. Technology and Internet allows us provide high quality bookkeeping/accounting service whether you are local to us in Pittsburgh or anywhere else in the USA. Why trust your information with someone who cannot protect your information? We are ISO 27001 information security certified and guarantee your data security. You cannot afford to get your accounts completed by inexperienced people. Our staff have many years of experience. 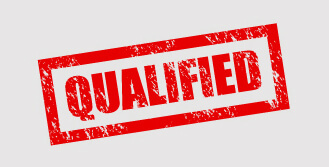 That is how we guarantee the quality of your work. You want your work done by qualified staff who understand your practice. Our accounting experts are well qualified to take care of your accounts. Our clients us. We our clients. Alex Philips – Practice manager, Dallas, Texas I have a dedicated team of accountants work for me, managing every aspect of our practice accounting. Apart from the can-do attitude Integra's accountants are very proactive and sharp. Matt Henry – Practice manager, San Francisco, California It took many months for me to build the trust but now I trust them 100%. Integra's accountants are the real backbone to my business. They manage all my accounting and certain admin jobs as well. I am happy to recommend Integra.